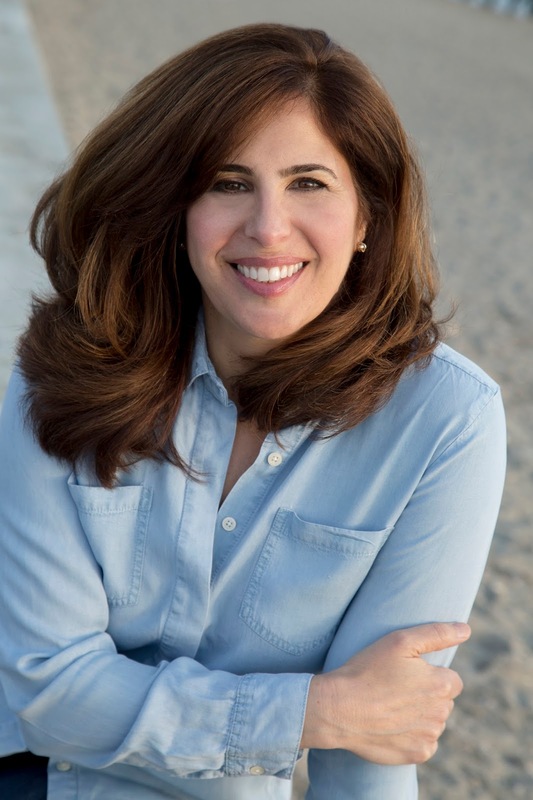 Welcome to day six of Meet The Authors, and I'm SO PLEASED to introduce all of you to Karen Fortunati, author of The Weight Of Zero! 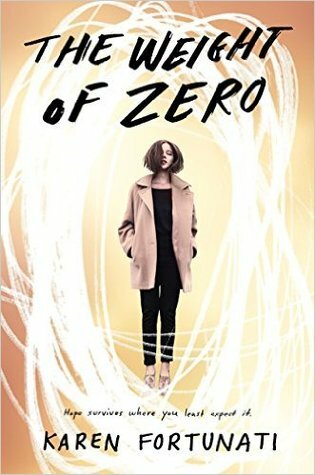 The Weight Of Zero is a gorgeously thought provoking book on Bipolar Disorder and a support system that can help you deal, and it is REALLY WELL DONE! 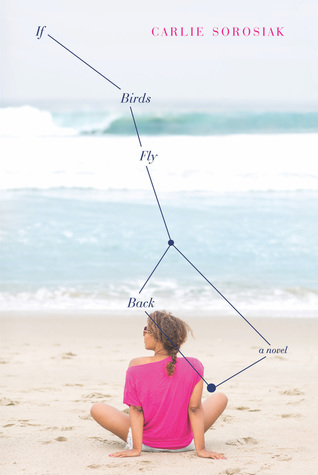 I got the opportunity to read her book from NetGalley in the middle of last year and I LOVED IT. 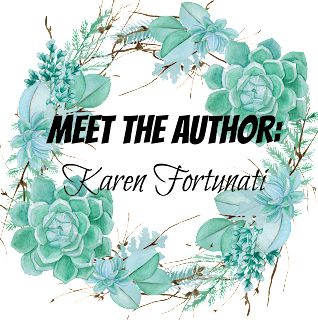 Please welcome Karen onto the blog, (HI KAREN!) read her AWESOME list of 2017 releases and enter the giveaway! This powerful, nuanced and brilliant debut should be required reading in middle and high school. Jackson nails the brutality and layered intricacies of racial prejudice with stunning, lyrical prose. 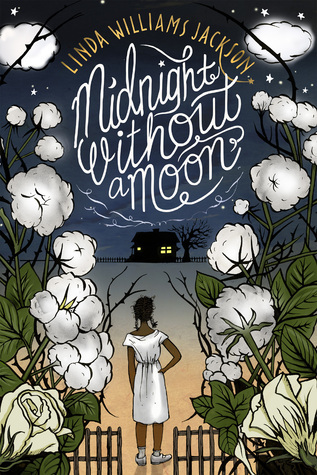 I fell in love with Rose, a thirteen year old growing up in Jim Crow-ruled south, as she anguishes over her hopes for a future. Jackson submerges us in Rose's world - the sights, sounds and feel of Mississippi in 1955 come alive. This is the kind of story that resonates and stays with you. Classic. 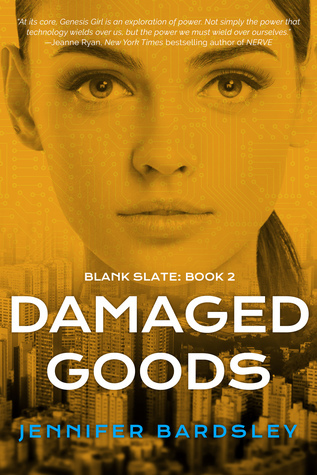 This is book 2 in the Blank Slate series. Last year, I couldn’t put down Book 1, Genesis Girl. Check out my review and you’ll understand why I need to read the sequel. Blanca is a cyber virgin known as a Vestal in the future world setting of Genesis Girl. Groomed in isolation with other Vestals from birth, she is taught to be obedient, unthinking and compliant. In this future world, society is tech-consumed with hardware now implanted into fingertips. Vestals, because of their cyber-purity, are the new celebrities and purchased at exorbitant prices by corporations to advertise. Well, that's the goal. In Blanca's case, a paparazzi-tech manages to get a photo of her before she is "harvested" - i.e. purchased by a corporation. Forced to take a decidedly different path ahead, Blanca is offered a freedom she never envisioned. And with this freedom comes a chance at love and the possibility of exposing the Vestal System for what it truly might be. This is a story that makes you think about the impact of technology and how it is changing the very way we act and interact. What's scary is that it isn't all that hard to imagine a future scenario like Genesis Girl. Excellently written, fast paced and provocative! This is a powerhouse of a story made even more so by absolutely gorgeous writing! Katherine Webber is a writer to watch and this debut will grab you from the first sentence and not let you go until the last. 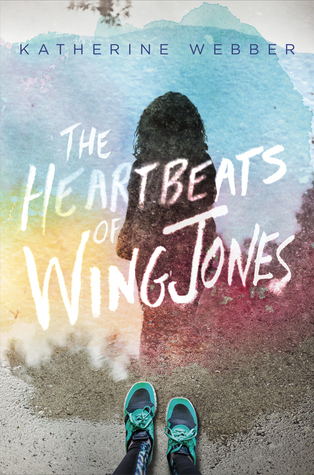 THE HEARTBEAT OF WING JONES explores many important issues - race, gender, ethnicity - but the "heartbeat" of the story was for me about a young girl growing and finding her place in her family, school and life. Wing has always been in the shadow of her star athlete older brother, Marcus. But when a drunk Marcus drives and kills two people as well as critically injuring himself, Wing is compelled to reexamine her role in her family as well as handle the conflicted emotions about her older brother. Overwhelmed by fear, running becomes a new outlet for Wing and her natural athleticism becomes the catalyst for the great changes in Wing's life. I absolutely loved this story and even though there is a deliciously sweet romance, Wing doesn't lose herself or her newfound confidence in it. That was incredibly refreshing. This story has everything: unforgettable MC, heartfelt and gripping story and amazing cast of characters all elevated by Webber's elegant and graceful prose. Undoubtedly, one of the top 2017 debuts for YA! Once I read this summary, I was hooked. I love FIREFLY and this sounds amazing! Hoping to snag an arc of this one! 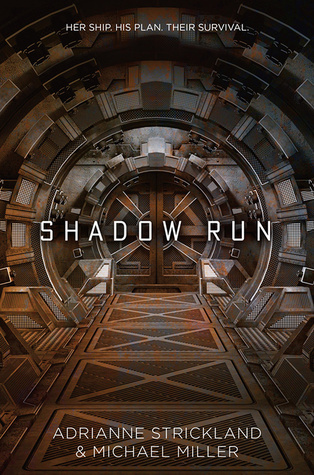 "Firefly" meets DUNE in this action-packed sci-fi adventure about a close-knit, found family of a crew navigating a galaxy of political intrigue and resource-driven power games. Nev has just joined the crew of the starship Kaitan Heritage as the cargo loader. His captain, Qole, is the youngest-ever person to command her own ship, but she brooks no argument from her crew of orphans, fugitives, and con men. Nev can’t resist her, even if her ship is an antique. As for Nev, he’s a prince, in hiding on the ship. He believes Qole holds the key to changing galactic civilization, and when her cooperation proves difficult to obtain, Nev resolves to get her to his home planet by any means necessary. But before they know it, a rival royal family is after Qole too, and they’re more interested in stealing her abilities than in keeping her alive.Nev’s mission to manipulate Qole becomes one to save her, and to survive, she’ll have to trust her would-be kidnapper. He may be royalty, but Qole is discovering a deep reservoir of power—and stars have mercy on whoever tries to hurt her ship or her crew. 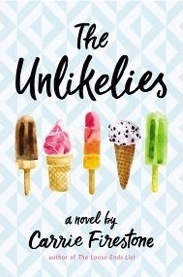 You'll need to add THE UNLIKELIES to your TBR list asap. It's spectacular! Like her debut novel, THE LOOSE ENDS LIST, Firestone concocts an absolute blast of a story with vivid characters, sharp dialogue and even sharper humor. But this is much more than a tale about an "unlikely" crew who bonds over acts of guerrilla kindness to counter the pervasive trolling/hate. (Note - that alone is enough to set this story apart - this rebellion for decency and respect and acceptance.) Firestone dives deeper - exposing the impact and scars of bullying and the herd mentality of cyber group behavior. Substance abuse is also a major player in this story and Firestone lays out the horrors and destruction of heroin addiction. But in her trademark style, these topics are handled deftly with superb writing and skill. Firestone is one of my favorite authors - her stories are unique and brilliant and written in equal parts smart, funny and heartfelt. I love the sound of this one – completely unique paranormal where experiences are the things that are vanishing. From the reviews I’ve read, the atmosphere is just incredible and it reminds me a little of Imaginary Girls setting-wise. Hope to get my hands on an arc soon. What if the ordinary things in life suddenly…disappeared? Aila Quinn’s mother, Juliet, has always been a mystery: vibrant yet guarded, she keeps her secrets beyond Aila’s reach. When Juliet dies, Aila and her younger brother Miles are sent to live in Sterling, a rural town far from home--and the place where Juliet grew up. Sterling is a place with mysteries of its own. A place where the experiences that weave life together--scents of flowers and food, reflections from mirrors and lakes, even the ability to dream--vanish every seven years. 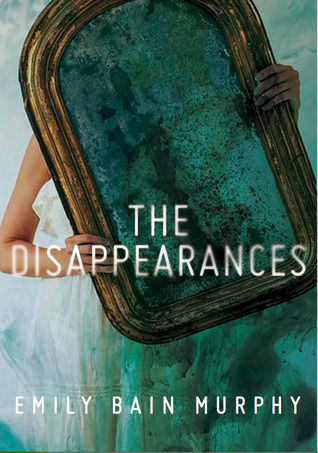 No one knows what caused these “Disappearances,” or what will slip away next. But Sterling always suspected that Juliet Quinn was somehow responsible--and Aila must bear the brunt of their blame while she follows the chain of literary clues her mother left behind. I can’t wait to read the second book in the Holo Series! The first book, Consider, brilliantly weaves an apocalyptic, end of world scenario with YA realism. If possible, the sequel sounds even more amazing. This is a not to be missed series! Consider: As if Alexandra Lucas’ anxiety disorder isn’t enough, mysterious holograms suddenly appear from the sky, heralding the end of the world. They bring an ultimatum: heed the warning and step through a portal-like vertex to safety, or stay and be destroyed by a comet they say is on a collision course with earth. How’s that for senior year stress? Contribute: The holograms lied to everyone on Earth and only Alexandra Lucas knows the truth. Now she's trapped in the year 2359 without family or friends—worse, without her anxiety medication. Alex attempts to reconcile the marvelous scenery, technological advances, and luxurious living with the knowledge that the holograms weren't being completely honest—what else are they lying about? 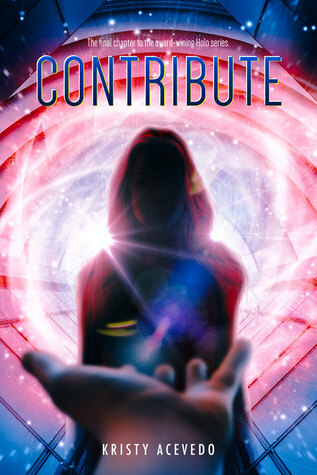 With a secret that could shatter her society, Alex tries to find her place among strangers, convicts, and a rebellion striving to bring the holograms down. Alex struggles to find the best way to reveal the truth and reunite with those she loves. But when surrounded by beauty and every convenience, Alex wonders if truth becomes irrelevant in a perfect world. High school graduate Rilla has been raised by her father and grandmother. In this last summer before embarking for Brown on a full scholarship, her father's unexpected death causes Rilla to rethink her plans. But it's more than the future of her family's lobstering business weighing on her. Rilla is starting to see things - things that others can't - things that are tied to the dark and dirty history of a small island off her Maine coastline. 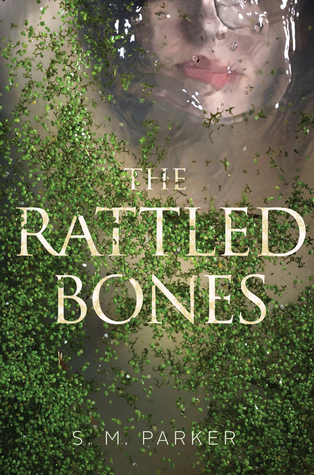 Forcing Rilla to face a startling truth - either she's losing her grip on her sanity or she's connecting with a woman who died almost a century ago. Parker's writing flat out stuns in this paranormal mystery. She explores Rilla's grief and loss with great sensitivity and honesty. These lines read like poetry. But it is first and foremost a thriller with a deliciously high creep element. Parker absolutely shines at scaring the bleep out of you. For me, the brilliance of this story is its layers and complexity. In Rilla's quest for the truth, Parker exposes yet another long buried incident of racial prejudice and takes a provocative look at the constraints of gender roles past and present. Podos’ debut novel, The Mystery of Hollow Places, was definitely one of my favorite reads of 2016 – absolutely gorgeous writing and masterful storytelling. I have no doubt her new YA book, Like Water, a contemporary LGBTQ, will be comparable. Seriously, you need to read this summary! When Savannah's father is diagnosed with a genetic illness she may inherit, she sets aside her plans to flee her tiny hometown after graduation. She takes a job as a performing mermaid at a water park; when she meets the handsome lifeguard's even more intriguing sister, Vanni learns the difference between sinking and diving in deep. Now with a title like this one, how can you not be intrigued? I’ve heard incredible things about this contemporary YA that explores the meaning of “family.” Lehrer is a poet and I know from Janet McNally’s gorgeous Girls in the Moon that we’re in for something special. Add this one to your TBR! Set against the stark reality of an impoverished rural landscape, debut novelist Ruth Lehrer offers a stunning, revelatory look at what defines and sustains “family.” When Fishkill Carmel meets the eccentric, fearless optimist, Duck-Duck Farina, her life begins to change – maybe too much, definitely too fast. Fishkill had forged an impenetrable, don’t-mess-with-me identity to cope with years of abuse, neglect, and hunger. If she lets her guard down now, how will she deal with the hard times ahead that are all but guaranteed for someone like her? I've been wanting to get my hands on an arc of this one for a while. This contemporary YA told in dual POVs sounds absolutely phenomenal and is already racking up rave reviews. Let me say flat out, YOU NEED TO READ THIS BRILLIANT DEBUT by Kim Zarins. You need to know absolutely nothing about Canterbury Tales (C.T.) to fully enjoy it. Zarins takes the C.T. format - travelers coming together on a journey who each tell a tale - and makes it her own masterful, engrossing and moving story. The majority of the action takes place on the bus from Connecticut to DC and each student on board tells a story - fact or fiction - for the ultimate prize of an A in Mr. Bailey's class. The narrator is high school senior Jeff who struggles with a number of issues, not the least of which is his growing attraction to his best and male friend. 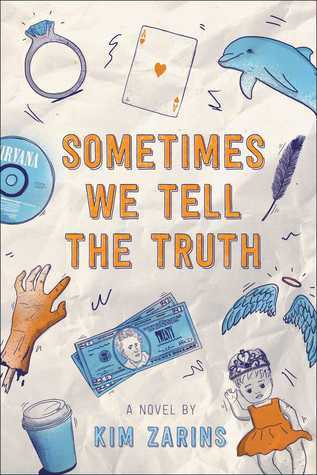 Between the individual tales - which alone are fabulous - we learn more and more about Jeff - his family tragedy, his low self-confidence, his dreams and of course, his conflicted feelings over his best friend. The large, rambuctious and lovable cast of characters pops off the page and out of the many, many YA novels I've read this year, Zarins' dialogue is one of the best! It's an absolute joy to read - fast, sharp, funny and heartbreaking! Zarins also shines in the way she has crafted the individual tales to allow peeks of the truths hidden inside. Themes of sexuality and gender roles are handled with grace and honesty and real emotion. Zarins' writing is gorgeous and stopped me in my tracks many times - I had to go back and reread a number of stellar passages. Karen’s debut YA novel, The Weight of Zero, released in October 2016, has received wide acclaim: a Cybils Finalist, a New York Public Library Best Teen Fiction, featured in Seventeen, an Apple Best Book of October as well as an Indies Introduce title. She lives in Connecticut with her family and rescue dogs. Her next YA novel, The Arc of a Bullet, will be published by Delacorte in 2018.